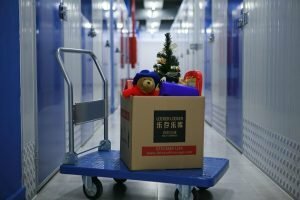 Home / How to use self-storage facilities? Storage is useful for various reasons from moving your home to decluttering your living space. They can even come in handy when you’re looking to keep your things out of the way, but safe and within reach. However, before you start looking for the perfect self-storage facilities Columbus Ohio, you’ll need to know how to use it. Check out our guide on how to use self-storage facilities to maximum effect. With the help of a good storage unit, a lot fo your tasks can become easier. the size of the things you want to store – your unit should be able to house all the belongings you’re planning to stow away. the time period you’ll need the unit for – choose whether you need short or long term storage units in Columbus, Ohio. accessibility – whether you need it close by or you’re ok with it being far away. If you’re not sure how to use self-storage facilities, it would be better to use a storage unit in the lot, instead of a portable unit at your home. Once you decide on the perfect storage for your needs, you can learn how to use it properly so it can provide more for you. Finally, all of these factors will depend on why you need the unit for. Once you decide this, picking a storage unit will be a piece of cake. Before you can use your storage unit, you’ll need to prepare it for your things. So, once you find decent storage solutions near you, it’s time to get t work! First, you’ll need to check out the unit. See if there’s anything wrong with it and report it to the company you’re renting from. If nothing is amiss, it’s time to sanitize your unit. Good storage companies will clean a unit after each client, but you can never be too careful. The products you’ll be able to use to clean your storage will vary from unit to unit, so feel free to consult with your storage company. Improper packing can cause a lot of issues. Once your storage locker is clean, it’s time to fill it with your belongings. However, don’t just start placing boxes in it without any rhyme or reason. Pack your boxes first to ensure their safety and make sure you place heavy and bulky boxes on the floor of the unit. This is how to use self storage facilities safely and without any issues. Pack your things in boxes for extra protection before putting them in storage. Be careful how you pack fragile items as they need extra wrapping and special treatment. Don’t place boxes over them and don’t place them on top of stacks of boxes. The best way to always be aware of your sensitive boxes is to mark them with “FRAGILE”. This is how you can make sure that you always treat them cautiously. Finally, it’s not enough to fill your pods Columbus Ohio and then just leave them until you need something. If you want to guarantee the safety of your things, you’ll need to visit your locker from time to time. Even while packed in boxes, your belongings will require periodic maintenance. This goes for the unit itself, as well. 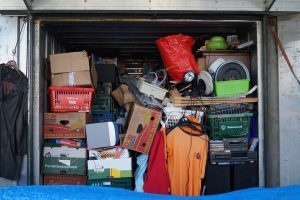 Drop by your storage locker at least once a month and check out if everything is how you left it. It would be better to check on it more often, but this will also do. pathogens – organic or synthetic chemical compounds. firearms – don’t store guns which are still usable and registered. Keep them with you at all times. canvas – even though it’s not against any laws, storing paintings can damage them, which is something you’ll want to avoid. If you’re not sure how to use self-storage facilities, you should be careful. There’s no use in packing your unit quickly if you damage your items in the process, or God forbid, hurt yourself. This is why it’s essential to have some help, especially if this is the first time you’re renting a storage locker. The best option by far is to hire the people from the storage company to help you pack your unit. They are experienced and no one knows their units better than them. In addition to this, you should check the indoor air quality of your unit from time to time, as it is an important factor influencing your health. Don’t rent units with poor air as this can have serious consequences to those breathing it in. As a last security tip, choose s storage company who can guarantee that your units won’t be opened by anyone except you! 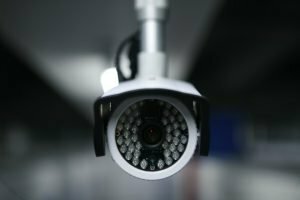 Choose a storage facility with good security. This is how you can guarantee the safety of your things. Finally, you’ll want to be protected when loading your self storage locker. Accidents happen and it’s too late to regret anything when a hard and heavy box drops on your unprotected foot! So, wear sturdy shoes and dress in clothes you don’t mind getting dirty. As an additional measure of protection, we strongly recommend wearing gloves when loading your unit. This isn’t a must, as some people find gloves too restricting to their movement, but we still think that the protection they offer far outweighs this. Hopefully, we’ve helped you understand how to use self-storage facilities so you won’t have any issues when the time comes to store your things!